“Ok Google, find a good Indian restaurant nearby.” – No, I’m not telepathic but I’m giving you an example of how the world has changed to become more evolved. From inventing the barter system to having virtual money in our mobile phones, we’ve come a long LONG way. Now, not only we earn more money, but we’ve managed to create online portals through digital media to make our transactions better and smoother. Not only that, the 21st century has also witnessed the rise of artificial intelligence, most prominent ones being Siri and now, the Google Assistant. Google is now a major part of our lives, as it’s no surprise to us, as we all depend on it for almost any kind of internet search. This concept of internet search is a key factor today for any business owner whose business, company, or organization has a presence in the digital world. Only when people type the necessary words onto Google and their company or organization shows up, the company will get the clicks, the traffics, and hence, the money. A key part of the topic of discussion for us today, that is, SEM. Therefore, let’s go on forward and discuss about SEM and SEM services. SEM – What is it? So, what is this SEM and why is it so crucial? SEM stands for Search Engine Marketing, and as you can already understand, it basically means marketing your business or company through search engines like Google, Yahoo, Bing, etc. Search Engine Marketing is considered as one of the most effective ways to make your business flourish and grow in a marketplace that has become increasingly competitive. With thousands and millions of businesses in the world, all vying for the same amount of eyeballs of the consumers, it has never been more significant to use online advertisement and SEM is the best way for you to make your business grow by promoting your services or products. 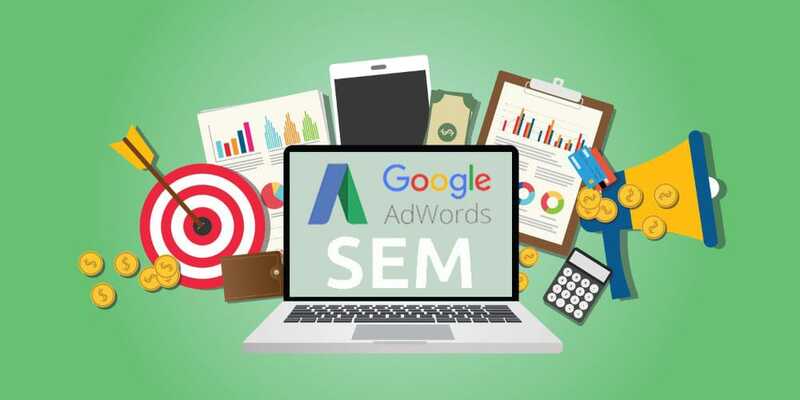 Officially, SEM is the practice of marketing any business or company using the same paid advertisements that you may come across on SERPs, that is, search engine result pages. Whenever you search for something on Google and the results show up, you see those box adverts on the right hand side or something similar? Those are the ones that are used by businesses to market themselves. Advertisers usually bid on those particular keywords that consumers of platforms like Bing or Google may enter when searching for services or products, which provides the advertiser with the chance to make their adverts appear alongside the results for those particular search queries. These advertisements are very often referred to as pay-per-click advertisements, and they come in various formats. The formats may range from text-based small adverts to even product listing ads (PLAs) that are more visual and product-based adverts. These allow the consumers to see the valuable and significant information at a glance, such as product reviews and prices. The greatest strength of SEM is that it offers all advertisers the opportunity to present their adverts in front of motivated and diligent consumers who are absolutely ready to purchase at the exact moment they want to purchase, and if the advertiser can make good use of SEM to market his company or products, consumers are bound to buy. There is no other advertising medium that can offer this, which is why SEM is sky high effective and a highly-powerful way of growing a business. What is SEM Made Up of? SEO (Search Engine Optimization) – This helps to maximize the company’s search result exposure and driving the traffic towards it, ultimately helping in increasing its sales. A majority of SERPs come from organic or unpaid search. SEO helps to optimize a website to make sure that it attains top placement in search engines. SMM (Social Media Marketing) – This mainly focuses on reputation enhancement, branding, and enhanced customer service for a brand, through social media platforms like Twitter, Facebook, LinkedIn, etc. Hence, even the simplest of marketing efforts, for example paid advertising, can go lengths to reach larger audiences. Paid Search – Instances of paid searches may include banner and sidebar ads, sponsored links, where contextually generated advertisements are based on search results that are organic. 1) SEO – Search Engine Optimization will help you to rank above your rivals by increasing your site’s visibility, gaining credibility and trust among your consumers, as well as placing your company as an industry leader. 2) PPC (Pay-Per-Click) – PPC will help you to make the most of your money in the advertising budget you posses, generating an immediate top-notch quality traffic to your site and converting clicks into instant revenue through PPC professionals. 3) Local Maps – People in an area often search actively for products or services offered by businesses in their vicinity. SEM can help in this by increasing your visibility and driving quality traffic that is regional to you or your company. 4) SMM – Social Media Marketing, done through SEM, can also create interest in your organization or company through special offers, contents, and responses to posted queries or similar content.